Manufacturer & Trader of ACM Cylinders. Our product range also comprises of Industrial Gas Cylinders, Nitrogen Cryocans and Hospital Oxygen Cylinders. Available in various technical specifications, these ACM cylinders can also be customized as per the specifications, detailed by our clients. 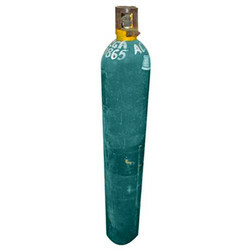 We offer a wide variety of ACM Cylinders that are highly useful in various industrial applications. Available in various technical specifications, these ACM cylinders can also be customized as per the specifications, detailed by our clients. Looking for ACM Cylinders ?